The ship is rumoured to have been carrying a fortune in gold bullion. Now an international expedition with a special licence from UK's Ministry of Defence may be about to discover for once and for all if the legend carried any truth. HMS Hampshire was sunk by a German mine during a storm off the west coast of the main island of Orkney on June 5, 1916, with British military commander Lord Kitchener among the 737 fatalities. The Secretary of State for War was on his way to Russia for a meeting with Tsar Nicholas II and the ship is rumoured to have been carrying a fortune in gold bullion. The treasure - thought to have been a 'bribe' to keep the Russians in the war - would be worth around £440million at today's prices. The 10,850-ton armoured cruiser HMS Hampshire departed Scapa Flow in Orkney on 5 June 1916 on a voyage around the north cape of Norway to the port of Archangel in northern Russia. She was carrying Lord Kitchener, the Secretary of State for War, and his staff to Russia to discuss mutual war aims and strategy. As she struggled up the west coast of Orkney in a severe gale, approximately one and a half miles off Marwick Head she struck a mine laid by the German Submarine U-75 a week before on 29 May - and quickly sank. Of the 749 people aboard, only 12 managed to reach the shore alive; Lord Kitchener and his staff were lost. Today HMS Hampshire lies at a depth of approximately 70m (230ft) near the North West tip of Orkney in an exposed area open to North Atlantic storms and strong tidal flows. The location makes diving HMS Hampshire a challenging undertaking. 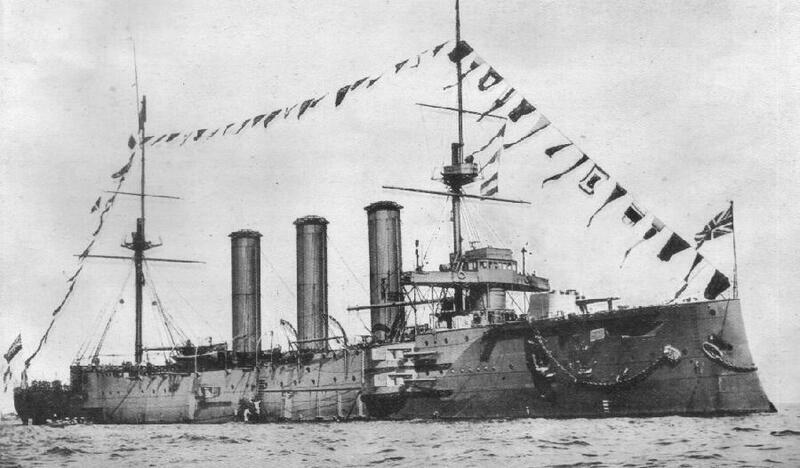 “The story of HMS Hampshire is of historical importance and her loss forms an important element of the WWI naval story. In recognition of this, the expedition has been designated a ‘flagged expedition’ by the prestigious Explorers Club. HMS Hampshire is a protected wreck under the Protection of Military Remains Act 1986 and no diving is permitted on the site except under licence from the Ministry of Defence. Diving will be conducted from the new purpose built dive vessel MV Huskyan, based in Stromness, Orkney. With such a strong local connection, as a dive team we are very sensitive to the historical importance of this wreck and very aware of the strict terms of the MoD licence granted to us, which prevent intrusive activity. The expedition objective is to undertake a detailed survey of the shipwreck, to record it using stills and video photography using the latest underwater photogrammetry techniques. We have assembled an international team of deep shipwreck imaging specialists who have the ability, experience and technology required to dive and record the condition of the wreck in great detail. This information will be used to compile a detailed written and visual survey report, which will be made available to the MoD, local museums in Orkney and to Historic Scotland.